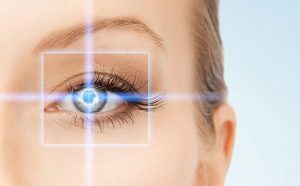 Excimer laser gas mixtures for Vision Correction are comprised of Argon and Fluorine along with buffer gases of Helium and Neon. There are a number of manufacturers and laser models in use throughout the world and each has a unique “recipe” of the gases. Please contact Nova Gas with the model number and manufacturer to order the appropriate gas mixture. Nova Gas is a leading producer of gas mixtures for use in excimer lasers used in semiconductor production. Earlier laser systems use Krypton in combination with Fluorine and Neon to produce 248 nm light. The newer generation of lasers uses Argon with the Fluorine and Neon to produce 193 nm light. Nova Gas is a pioneer in the production of these mixtures and our research team has conducted stability studies for concentration (1986-1990) and impurity levels, Milestone Program (1997-1998). 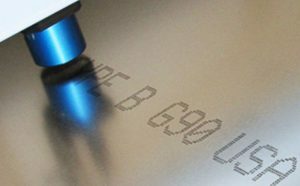 Fluorine excimer laser gas mixtures are used to mark small parts and jewels. Hydrogen Chloride combined with Xenon in an excimer laser creates a light wave of 308 nm. These lasers are used in various industrial applications. Nova Gas insures the stability of our HCL – Xenon gas mixtures by only making these mixtures in cylinders which have had their interior walls highly polished and nickel plated. Nova Gas has worked closely with a leading laser manufacturer to develop the correct gas mixture used in an excimer laser for the treatment of psoriasis.